The Majors Wizard will be a simple website for students to use to plan out their education at Duke. A student will be able to enter any major/minor/certificate combination, and the Wizard will output a list of required courses for the combination as well as the electives that best overlap everything. This will be a convenient tool for students to use, since the goal is simplicity and efficiency. 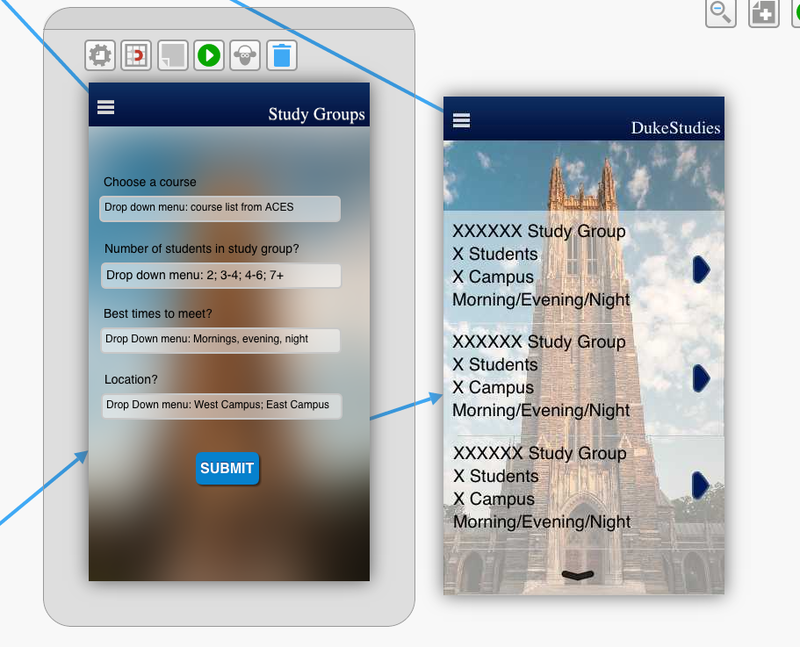 DukeStudies is still in the beginning stages of development. Currently the team has outlined how the app will function and what programming needs to be done in order for the app to function the way it should be. In addition, backend programming has begun, starting with the “chat” function and the log-in menu.